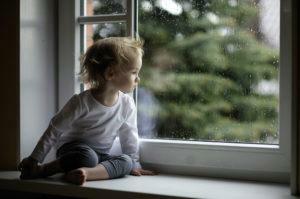 New windows will save you money on energy simply because they are properly sealed and less leaky. Beyond that, however, windows have also improved a lot over the last few decades. The windows you install today will be better quality and more efficient than your old window were when they were new. Here are four key ways in which windows have improved over the years. Solid wood frames and sashes were once the only option. They look nice, but wood does not stand up well to moisture and changes in temperature, which makes leaks and rot true concerns. Aluminum windows were popular for a while, but although aluminum does not rust, it is also a poor insulator and therefore not a suitable choice for energy efficiency. Today, many homeowners choose window sashes made from either fiberglass composite. This material does not warp or rot when exposed to moisture, so it’s less likely to develop leaks. Fiberglass composite is a very good insulator, so less heat passes directly through it. You don’t have to paint fiberglass or composite windows, either – though you can paint them if you want to change their look. If your windows are more than 20 years old, you probably dread the day you have to clean them. Most older windows require you to clean the outside from the outside, which means you must climb on a ladder to reach the second-floor windows. Newer windows are designed so you can clean the outside of the window from inside your home. Double-hung windows fold in so you can clean them, and modern casement windows have a gap between the sash and frame when open so you can reach through and clean the outside. Newer windows are also easier to open and close, thanks to newer latch and lock designs. Many new sliding windows glide on rollers in the tracks rather than sliding in a high-friction frame, so you don’t have to apply as much force to open or close them. The first double-pane windows were invented in 1952, so if your windows have been replaced since the 1950s, you may already have double-pane glass. However, the double-pane glass windows made today are often a step above those made a few decades ago. Today, you can purchase double-pane windows in which the gas between the panes is argon, rather than plain air. Argon is a better insulator than air, which means that argon-filled windows are even more efficient than standard double-pane windows. Argon is rather inexpensive, so you do not pay much more for gas-filled windows, either. The argon does leak out from between the windows but only at a slow rate of about one percent per year. So, even when they are 20 years old, argon-filled windows are highly energy efficient. Progress has also been made in designing coatings for the glass. A common choice is low-e coatings, which are made from silver and designed to reflect heat waves. In the summer, low-e glass coatings reflect heat waves outward, which keeps your home cooler. In the winter, they reflect heat waves back into your home, keeping it warmer. You can also find tinted window glass and UV-resistant glass that blocks harmful UV rays. The windows you put on your home today are light-years above those that were available a few decades ago. To learn more about your window replacement options, contact Fischer Window & Door Store. Our qualified technicians will help you choose the modern window features that are best for your needs. ← Should You Add A Bay Window To Your Home?